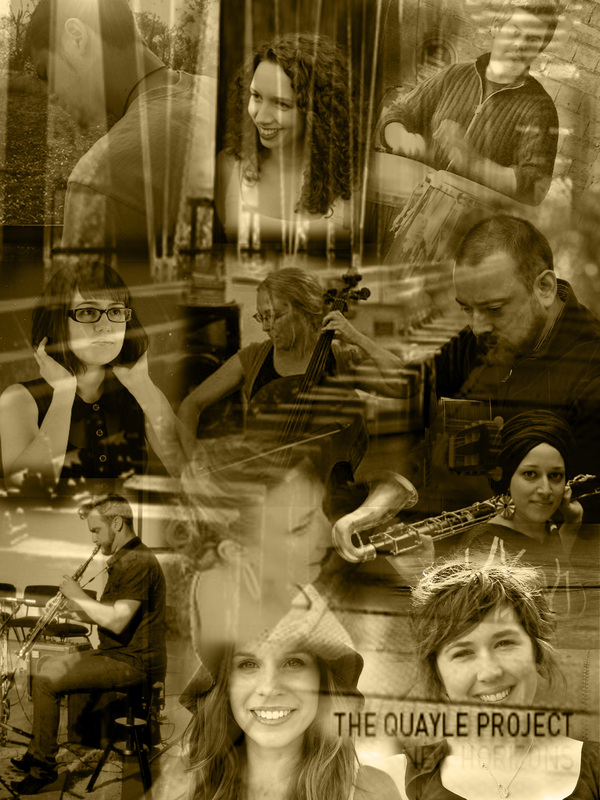 The Quayle Project = A collaborative endeavour where the art of live musicians and mixed media can meet, merge and create something much larger than the sum of it’s parts. The Quayle Project is led by composer and session cellist Anita Quayle (Gossling, Lior, Pete Murray, Jordie Lane, Chris Wilson). Summoning cinematically sophisticated arrangements, the jazz, classical, tango-esque infused music provides a platform for Anita’s instrumentally based compositions to merge with any and all forms of visual expression. Recently the ensemble took to the stage for their first collaborative endeavour with visual projection artist Jenna Fahey-White and body movement artist Emliy Altis to celebrate the launch of their debut single ‘Song for Ed’. The Quayle Project continues to grow, to collaborate and to share ideas with other independent artists to create a body of work that is much larger than the sum of its parts, while bringing to their audiences a feast for the senses.